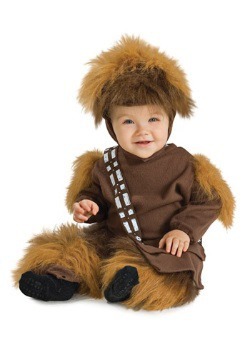 You've always had a sneaking suspicion that your adorable little guy might secretly be a Dark Lad of the Sith. Because sometimes, ya just know. It could be a lot of things giving it away, like the fact that the Force is terrifyingly strong in him, or his tendency to shoot lightning out of his fingertips when he doesn't get what he wants. Also, the way his eyes take on that red glow when he's in the middle of a tantrum kind of tells you everything you need to know: your kid's got a bright future (or a dark one, depending on your point of view) serving the evil Galactic Empire. So why not get his training started early? 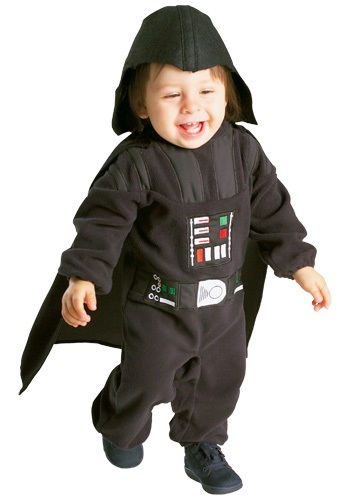 Let him realize the power of the Dark Side in this adorable Toddler/Infant Darth Vader Costume! 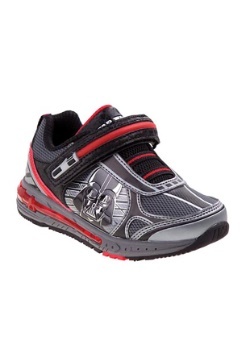 Think of this officially licensed outfit like a set of training wheels for Sith lords (who probably don't need bikes to get around, but you get the general idea). 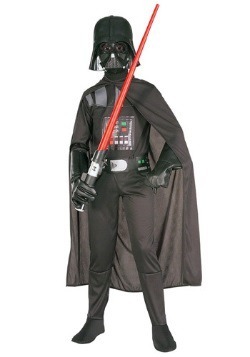 Unlike that big, scary Darth Vader, your little Vader will be the very embodiment of cute in this three-piece costume. 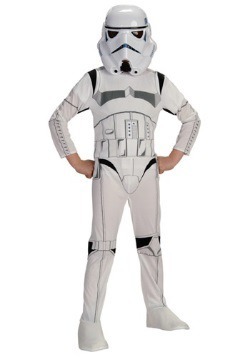 It's a warm and comfortable romper with a detachable cape and easy velcro diaper access... because not even Sith lords can avoid little "accidents" every now and then (they may be strong with the Force... but not that strong)! 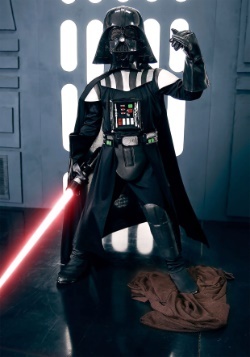 So whether he's on his first mission for Emperor Palpatine or you just want to show off his Force potential to all your friends at the big Halloween party, this Toddler/Infant Darth Vader Costume is ideal for your kid!